This has been the season of water. I can’t ever remember seeing so much water flowing. And it’s remarkable when you have the time to be in nature and consider what it’s saying. What does it mean to be human, being born into this world and continuing to age and to grow. Observing these realities continues to promote my own education – marveling and humbled by the flow of nature, living in the Tuolumne campground all summer long, constantly exposed to these elements – wind, cloud, rain, early morning fires, and observing sunrises with the Tuolumne river flowing just a few hundred feet away. I’ve been sleeping on the ground in the same spot for the fifth summer in a row. The trees and the boulder feel closer, like family members next to you, and the respect that I have for them has grown because of this fact of sharing this space, which continues to bring me into the context of sense of place and the indigenous reality that all of us carry in our DNA. From all these unique spots high in the Sierra the Tuolumne River flows into Hetch Hetchy in one direction, or down the Merced River in the other. As the water flows down and gets trapped in dams and diverted into canals and aqueducts, its message also gets clogged and lost. We don’t know what rocks it touched, what canyons it shaped, what waterfalls it created. We are connected by this history, but we have lost its meaning. Life for me in Yosemite is about migrating with the earth’s rotation. This summer felt so short because the campground in Tuolumne opened late due to the snow. Already, the earth’s movement has asserted itself, and the changing season has taken me back down to 2,000 feet in El Portal, where I’m observing the Merced River that continues to drain out the water from the higher country. I find myself sitting with the fire already going with winter wanting to show up early. It’s fun to reflect on the past summer and the 12 foster youth that came up to the Tuolumne camp. It felt really great to be with them, a lot of laughter and visiting and exploring Tuolumne Meadows, and lots of good food prepared by Katie. It inspires us to come up with a language of what we mean by education nature’s way, and the three years we have been involved with this. In the third year of bringing Merced youths to Yosemite through Sacred Rok, one reflection is this: “What’s wrong with us humans? Can’t we listen to what these young people are saying?” My connections with them have been an incredible inspiration to me. What the Sacred Rok youth are telling me is the power of our “relations.” I say this in the indigenous sense of the Miwok elders who use the term relations: every act has a relation to the land and to the elements of water, sun, wind, animals, plant life and kin. At Sacred Rok, our key is to restore the balance and harmony of the relations that have been knocked way off base by our society with its metrics of productivity and accountability and class structure. It’s almost like the dams that block the flow of the water down the rivers. We are trying to facilitate the kids coming back up the stream to connect to the life source. Society tries to train the kids to understand, master and manage nature, rather than to educate them to honor and learn from our relations. Every time a Sacred Rok youth steps into a river, touches a rock, appreciates a sunset, and honors the earth, we are learning from their actions and marveling at the power of that ceremony. The instructions are written in nature, and we are becoming more literate at deciphering what is written with every passing experience. In all of this, Yosemite occupies a special place. Our relations with nature are influenced by the specific spots where the experiences occur, not just at any old spot. 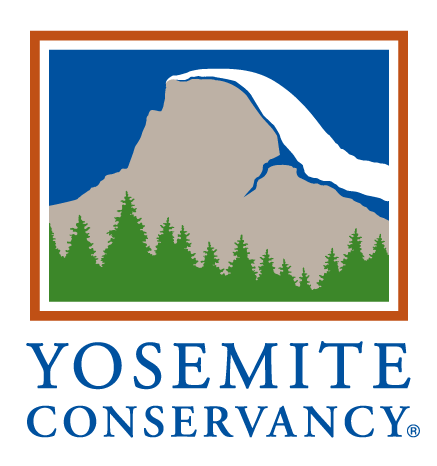 For me as a climber, I consider it a privilege to have had so much time in Yosemite, which influenced the way in which my relations have developed over a very long time. Our goal is to have continuous relations for the youth from the Merced area to develop, as well, over a very long time. I came to Yosemite at age 14, and now it’s been 40 years, and I’m still learning how to honor the wisdom of nature. The goal of Sacred Rok is to continue to learn, connecting Yosemite to Merced, and providing a long-term base for the students with whom relations have developed. We hope to be a life-long base from which life foundations are formed.